I actually kinda like these better than the regular d-arts, even though I love my D-arts Mega Man, because it's one detailed cool pose without the joints kinda sticking out. Though that isn't much of a problem on characters like Bass, X and Zero. Regardless, it's good to see more of these being made. But Zero had Bandai kill the line!??? Actually it was us that the killed the line and it happened to be Zero series Zero. 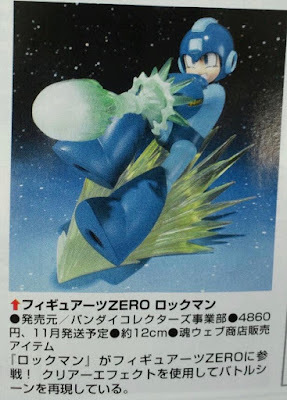 Fans voted for Zero series Zero, that make the figure, I want it, I want it, I want it, and when thy make it and comes out, no ones buys. Sales were bad, so it tanks the line. Its like I say, speak with your wallet not your mouth, put your money where your mouth is. 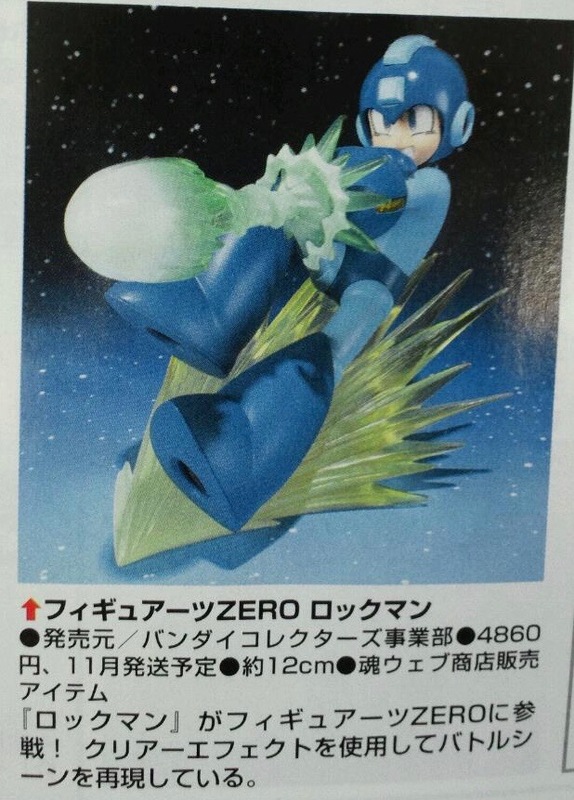 I thought Bandai had given up on Mega Man figures at this point. Kinda cool, but also kinda sad to see them just tread familiar ground once again by releasing the umpteenth figure of the Blue Bomber. But where the heck are the Robot Masters and the Mavericks we all hope for? I wish theyd release more x figures again. Was hoping for 2nd armor x and some more villains. It never happened. True. Not even a Proto Man figure, which could be made by taking Mega Man and giving him a few changes and a scarf accessory. Trade Rush and Met by Beat (Mega Man's helmet with extra details) and Eddie and there you have it! Glad to hear they're releasing another figure, hopefully the tackle the other characters.. at least Proto Man and Roll. Still hoping for a re-print/run of Armored X, I don't wanna spend those ebay prices. lol That's the only one I don't have from this line. Still waiting for Proto Man D-Arts! Thank you Bandai, good to see you remembered Mega Man! Please make some more articulated figures! !